HomeBlog September 2014 We're "Falling" for Mod Podge! 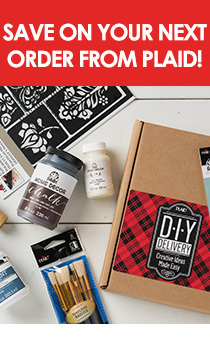 We're "Falling" for Mod Podge! With Labor Day behind us, it's time to gear up for fall! The temperatures are starting to cool down, and we can't wait for the leaves of fall to show their most brilliant colors of the year. We found some of our favorite projects using leaves and Mod Podge for a super easy way to bring a bit of the beauty of autumn indoors - check out these three projects using fall leaves for a festive home decor accent! We adore this Leaf Bowl made by Hello! Lucky to hold a few tasty treats - beautiful on your entryway table! Make Good Housekeeping's take on a Leaf Covered Pumpkin now and let it transition your table all the way to Thanksgiving. Did you know that Mod Podge will preserve your leaves for the season? Keep their vibrant colors going like Madigan Made does to use as Festive Vase Filler.